NEW ORLEANS – Soldiers with the Louisiana National Guard’s 225th Engineer Brigade have been gaining rare experience that directly relates to their wartime mission, by helping a community right here in Louisiana, each summer for the past four years during annual training. 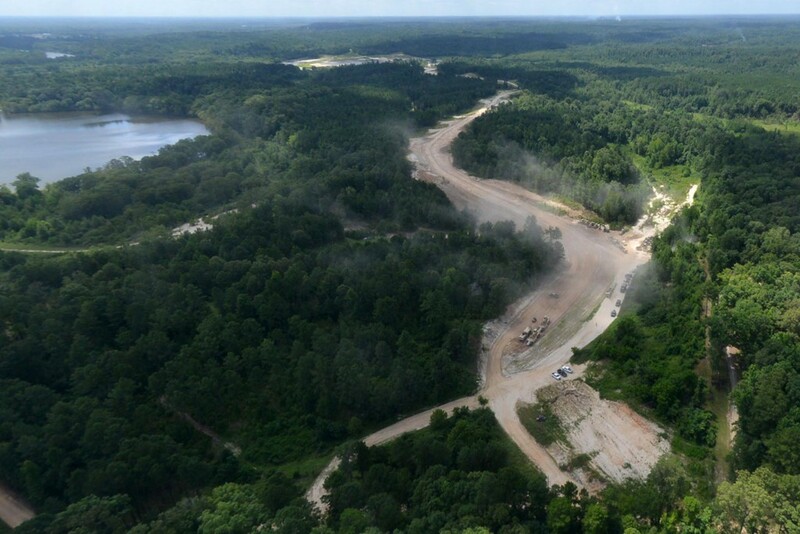 The Engineers have been exercising their road-building skills, crucial in overseas combat zones, as part of a larger project to create a reservoir at Bayou DeChene near Columbia in Caldwell Parish. 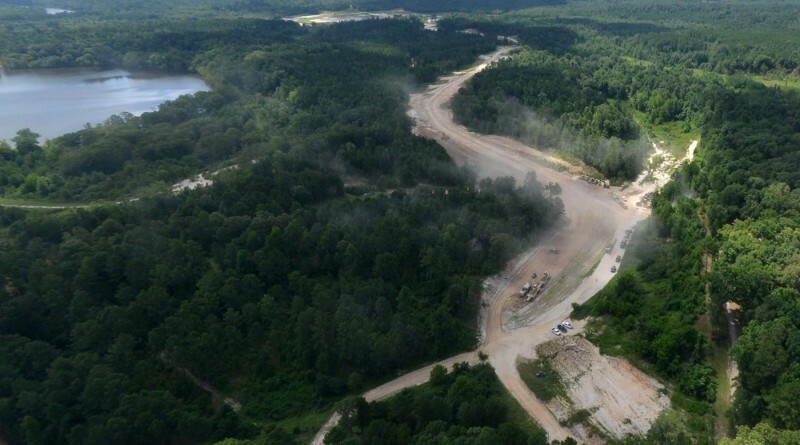 The completion of this multi-phase project will allow the Bayou DeChene Lake Commission to progress to the next phase of construction of the reservoir. “This project is ideal because we get to help the state and bring this lake to the community. It will be a beautiful place for recreational purposes,” said 2nd Lt. John Hurst, from Farmerville, a platoon leader with the 844th Engineer Company serving as officer-in-charge during his two-week annual training period. “But at the same time, we get to build unit cohesion working on an actual project, putting skills to use, operating the equipment and getting the stick time we need to be successful on future missions,” he said. Having a project of this scale has provided invaluable training for the Guardsmen. Guardsmen have been working on the project for the past four years, according to Benton. The amount of dirt they have moved would fill approximately 30,000 dump trucks. The new road connects a parish road with what will eventually be Bayou DeChene Lake, which will provide municipal water storage as well as recreational and sporting opportunities.